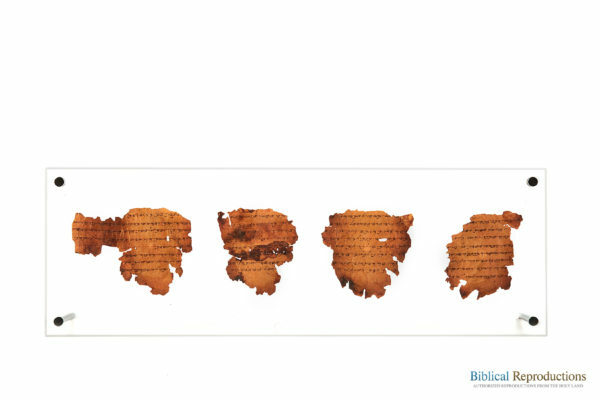 The Leviticus Scroll (11Q1 Plate 1039/3) was found in Qumran Cave 11, by a Bedouin in 1956. 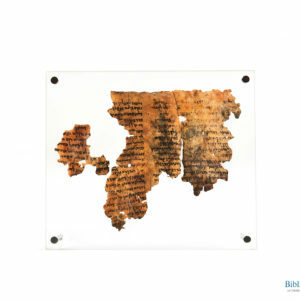 This scroll includes, the last several chapters of the Book of Leviticus, specifically Leviticus 22-27. 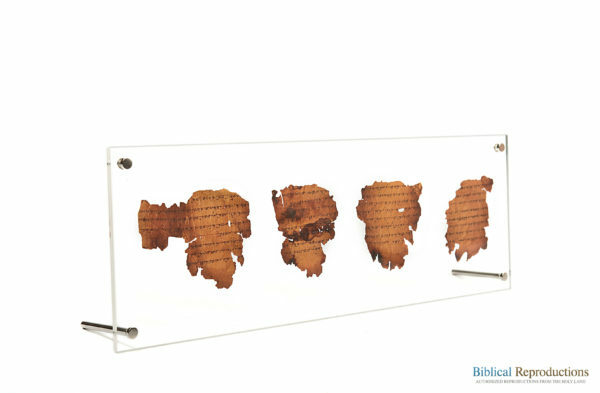 The original scroll dates back to a time period between late second century and early first century B.C.E. 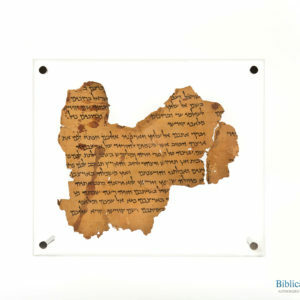 The scroll was written in paleo-Hebrew which is a form of ancient Hebrew script. 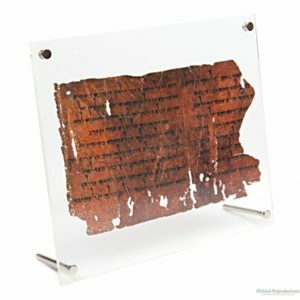 The original scroll was made from goat skin with the text inscribed on the grain side of the skin. The writing pattern of the text most likely indicates, that it was written by a single experienced scribe. 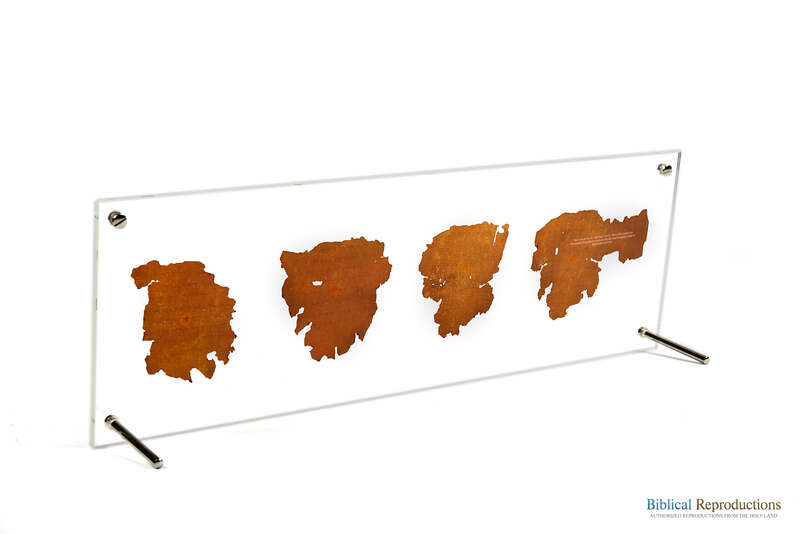 Artifact dated between late second century and early first century B.C.E. Portion in Bible – Lev 21:6-11; Lev 20:1-6; Lev 16:1-6.